Merchants are overpaying to accept credit cards. Credit card processing fees are typically a merchant’s second largest operating expense behind labor costs - these processing fees are a $900 Billion industry annually. Merchants don’t have the time or resources to do their own research and find the processing solution that makes the most sense for their business. And that means they’re likely overpaying for credit-card processing by hundreds or even thousands per month. SwipeSum solves this problem by bringing these credit-card processors to the merchant. We’re the only online platform that can do this. It’s quick, simple, and free to the merchant. And we’ve already put more than $3.1 Million back into business owners’ bank accounts. SwipeSum.com is the first online platform that enables merchants to find the most cost-effective credit card processing solution that fits the unique needs of their business. Merchants click ‘Get Started’ and go through a quick automated consultation that allows SwipeSum to understand their business, including how they currently process credit card payments. SwipeSum then procures a network of credit card processing companies that will integrate into the merchant’s business, and those processors submit bids to SwipeSum for the merchant’s processing business. SwipeSum then presents these offers to the merchant in a side-by-side comparison so that the merchant can select the best solution. SwipeSum.com is free to the merchant. SwipeSum.com earns a monthly residual commission for the lifetime of all accounts, paid by the credit card processing company for each converted lead. 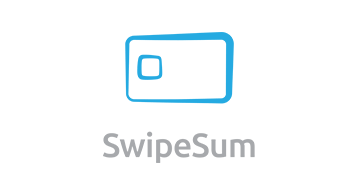 Our goal is to make SwipeSum.com the largest lead generation platform in credit card processing, not just in the United States but globally as well. And we are currently growing our user base to get there. SwipeSum.com is a merchant advocate that finds the best solution at the best price for the unique needs of every merchant. Every-time. Guaranteed.